Datalab celebrates 20 years in September 2017. Mr. Andrej Mertelj, chairman of the board of Datalab, and Mr. Moreno Rodman, chief executive officer of Datalab d. d., have told us how Datalab grew into a successful multinational corporation from its inception in a child's bedroom, and what still lies in store for the company. We could’ve all been driving Ferraris in 1999, when our profits were paid out. Instead, we invested the money we earned into development, which allowed us to grow into the multinational corporation Datalab is today. What was the impetus for creating Datalab? 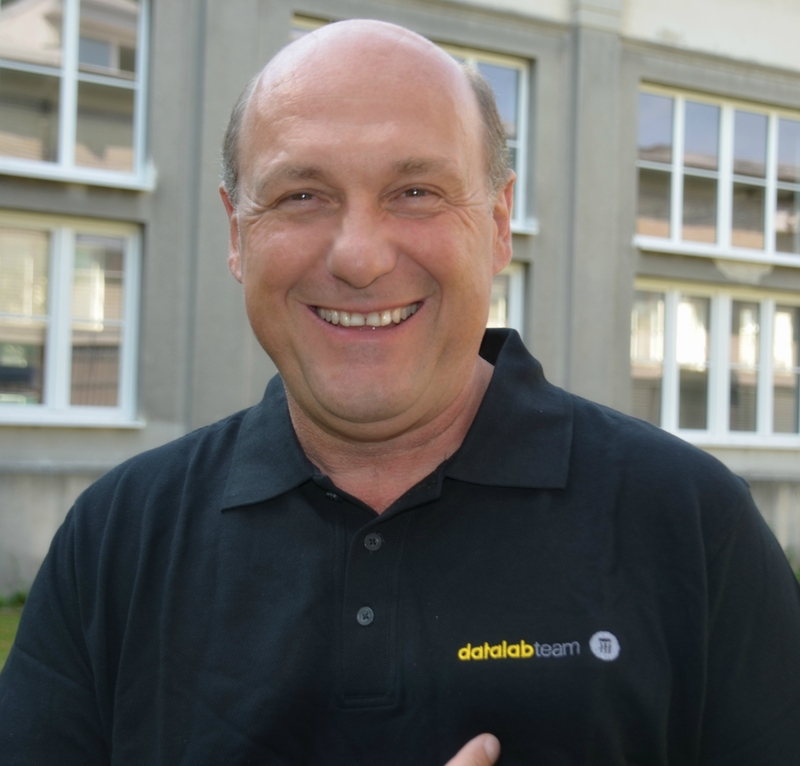 Andrej Mertelj: A series of events led up to the creation of Datalab, but the impetus was definitely the bankruptcy of my previous company, Gekko d. o. o., which was one of the first computer retailers in Slovenia. However, the reason why I’ve shaped Datalab into a different company from a typical accounting software development firm of the early 90s lies in the past. Successful entrepreneurs usually have a strong and supportive family. Was that true in your case? Andrej Mertelj: My father constructed machines in Elan. He designed the machines that are responsible for Elan’s reputation and the victories achieved by Stenmark, Križaj and others, and that were then copied by most of the competitors. Automated ski assembly, sidewall printing, improved edge mounting, lighter comprex wooden core and other innovations gave the company an advantage over its competition. If I think about it now, he did in the industrial age what PANTHEON is doing today: making progress with improved work methods. It was machines back then, now it’s informatics. I was about six years old when my father had to go to Hannover to attend the Industriemese trade fair. He took my mother and me with him. I felt as though I was on another planet. Automation, the first robots – it all left a permanent impression and shaped me. When my father was promoted to Director of ski manufacturing, I would visit him often in Elan, where he took me around the assembly halls and explained the manufacturing process, what problems they’re encountering, and thought about solutions that could be applied. Who would’ve thought that, decades later, I’ll have spent several months of my life as an exhibitor in the very same halls in Hannover. My mother instilled other useful values in me. As an art teacher, she raised me to have a sense for aesthetics. That things should not only be functional, but also aesthetic. That attention to detail is important ( how well my room was cleaned). That delayed gratification is usually better than an immediate feast. Without these values, we could’ve all been driving Ferraris in 1999, when our profits were paid out. Instead, we invested the money we earned into development, which allowed us to grow into the multinational corporation Datalab is today. Another important role model was my grandmother. The daughter of the founder of Gorenjka, she remained in management even after nationalization. Socialism collided with reality and something had to first have been made, before it could be shared. She gave me my entrepreneurial spirit, the talent for marketing, as well as modesty and money-savviness. Without these blessings from my youth and the values instilled in me, I would never have been able to manage Datalab and overcome the hurdles on the way up. Your “child” is the ERP software PANTHEON. How did you lead the product and the company from its infancy to adulthood? Andrej Mertelj: My business partner, Tomaž Teyrovski, and I built the foundations of the company in my child’s room and with 1,000 Deutsche Marks from my last salary. I was responsible for design and architecture, writing manuals, sales and support, Tomaž was programming. The company, the product, and the number of users grew exponentially. More than 50,000 users and 18,000 companies in the region use the product today. Exponential growth had its ups and downs. If centralized management and a strong leadership ego was welcome in the beginning, teamwork and detail-oriented thinking was required later. In 2009, the company experienced a crisis. The crisis was successfully tackled. The credit for the recovery and understanding the cycles goes to Mr. Lojze Zajc. A mentor who taught high finance to me and the company balancing details and, most importantly, how large organizations work. If reach and innovation were required for the early growth cycle of the company, stability is in the first place today. When you have 100 users, you can afford to leave a bug in the code in order to accommodate a technical innovation, but when there are 50,000 users, the price of such a bug exceeds the perceived value of the feature. In the last two years, we’ve been looking for and adding to the management of the company. The goal was to recruit the best people in the individual fields – not those who are free or willing. I’m happy that several positions were filled from within the company, but serendipity aided us when recruiting from outside. As befits a company of this size, managerial responsibilities are divided among several chiefs (sales, finances, development, operations etc.) with a clearly defined focus and goals. If reach and innovation were required for the early growth cycle of the company, stability is in the first place today. I’m incredibly proud and happy if I look at the product of the early ambitions and 1,000 Deutsche Marks. After twenty years, you’re taking a leave from active management of the company. What are your final thoughts? 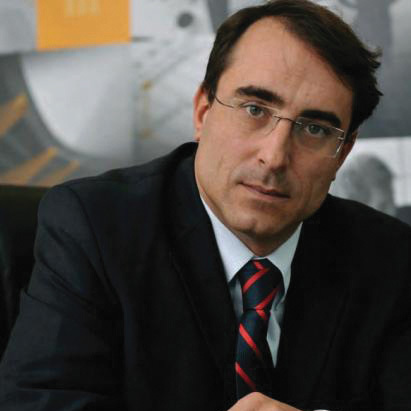 Andrej Mertelj: I’m leaving probably one of the most demanding leadership positions in the regional economy. It’s already hard to manage a high-tech company. Add to that the ever-changing regulatory environment, the specific views of clients, who often view investment into informatics only as an expense – or worse even, as something forced upon them by the state – and an often poorly understood financial industry, and it’s a true miracle I didn’t end up in an asylum or the cemetery with a heart attack. But all’s well that ends well. I’m convinced that with the experience that I gained in Datalab, I can meaningfully contribute to the digital agriculture revolution. That is why I would like to dedicate most of my time – in addition to my family – to this endeavor. Last but not least, I would like to thank all users, former and current coworkers, partners, financial officers, officials, and friends, who made these wonderful and successful 20 years possible. I’m incredibly proud and happy if I look at the product of the early ambitions and 1,000 Deutsche Marks. I wish a productive and great life with many healthy children to grown-up Datalab. Knowing the team and each member’s dedication, I can hand over the scepter to the next generation with peace of mind. Regardless of the tools available to management today, the key to success is the team. People with vision, knowledge, motivation, and the drive for personal success as well as the success for Datalab are the key to success. Mr. Moreno, you took over the position of CEO in May 2017. Can you tell us what your management vision for the company is? Moreno Rodman: Andrej and I met already in 1999. As the founder and partner of Actual, I was looking for a suitable ERP system to cover the needs of small and medium-sized companies in the region. I signed a partnership agreement with Datalab. As sales director of the biggest IT companies on the Slovenian coast, I gave PANTHEON preference before all other (foreign or domestic) ERP systems for small and medium-sized companies, because I saw great potential in it. Shortly after, in 2002, Andrej asked me to take over leadership responsibilities of Datalab, whose goal was fast growth on the domestic and foreign market. In those years, the few managers did several jobs, because we know that a small company has the same responsibilities as a big one, although with fewer resources and people. In that respect, PANTHEON was extremely helpful and grew with us. Today, Datalab is a company that we envisioned back then. It has all the foundations for further growth and expansion to new markets. If a couple of years ago management had to do several jobs at once, that’s no longer the case nowadays. We’re simply too big for a handful of people to handle the whole business appropriately. That’s why we had to divide managerial responsibilities very precisely. Datalab d. d. now has a chief executive officer, with chiefs for individual departments helping him. We have a chief marketing and sales officer, chief development officer, chief operations and IT officer, chief finance and accounting officer. Because we’re a publicly traded company, the officers’ work is overseen by an executive board, which makes sure that the stated shareholders’ vision is realized. We have subsidiaries in every country where we’re actively present. The management of each company is carefully set up, so that heads of individual departments (e.g. marketing, sales, user and partner support, academy, finance, accounting etc.) assist the director of the subsidiary. My key task is to ensure that the processes in the companies are set correctly, to improve communication internally and externally, and to foster a team spirit and teamwork in the entire corporation. Only thus can we succeed in doubling the revenue in the medium term. The “grown-up” Datalab is now in your hands. Tell us where you’re taking the product and the company. 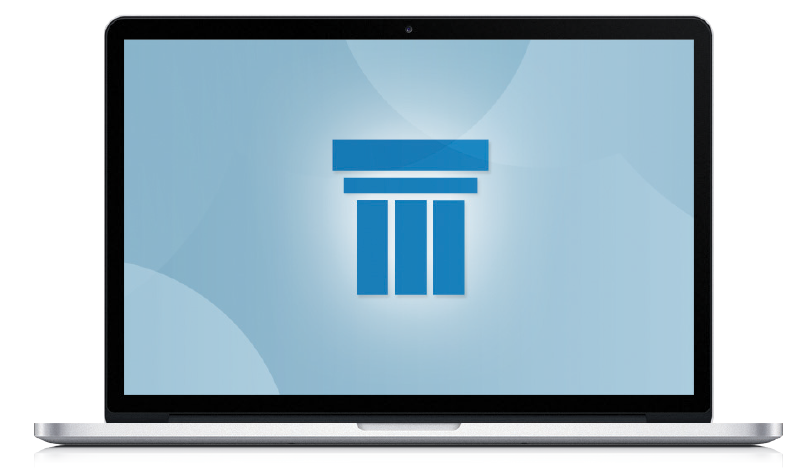 Moreno Rodman: PANTHEON with its features has been a developed ERP system for a while. There are approximately 17,000 pages in its user manual. It contains a vast amount of business experience, users’ suggestions for improvements, regulations, and business process optimizations. It’s ready to expand into new markets, because we have the required knowledge, tools, and people. In the near future, we want to enter the Ukrainian and Italian markets, where lucky circumstances (the ban of our biggest competitor in Ukraine, and the desire for cooperation by one of the telecommunication service providers in Italy) brought about a change in the strategy of non-expansion. Technology-wise, we want to and have to be a part of the Industrial Revolution 4.0. First came steam and the first machines that made the work of our ancestors easier. Then came electricity, assembly line production and the birth of mass production. The Third Industrial Revolution came in the shape of computers, early automation, machines and robots slowly replacing people for labor-intensive tasks. The question isn’t, whether Industry 4.0 is coming, but how quickly. Today we’re entering the age of Industry 4.0, where computers and process automation will merge into one – in a new way. With new algorithms, artificial intelligence, and machine learning, requiring fewer and fewer data entries, effort or interactions with humans, Industry 4.0 introduces the “smart factory”, where automated system monitor processes and make decentralized decisions. With the Internet of Things, systems are already capable of communicating with each other – and people – in real time. The question isn’t, whether Industry 4.0 is coming, but how quickly. Just like with big data and other business trends, we predict that early-adopters will be rewarded for their courage adopting new technologies. Those refusing to do that run the risk of becoming irrelevant and fading into the background. Datalab wishes and will again be one of the first to tackle new trends and challenges that we’ll introduce during our birthday event on 16 and 17 November in Portorož, Slovenia, at the International PANTHEON Conference 2017, to which we would like to kindly invite you.